Incredible fun! Incredible connections! No worries! Make sound connections! The Sonic Sandbox Music Workshop is a blast for everyone to play in! Everyone gets included and you can try anything. What makes it work? Listening is key. Participants connect through sound. No musical experience required and no musical experience makes you over-qualified. 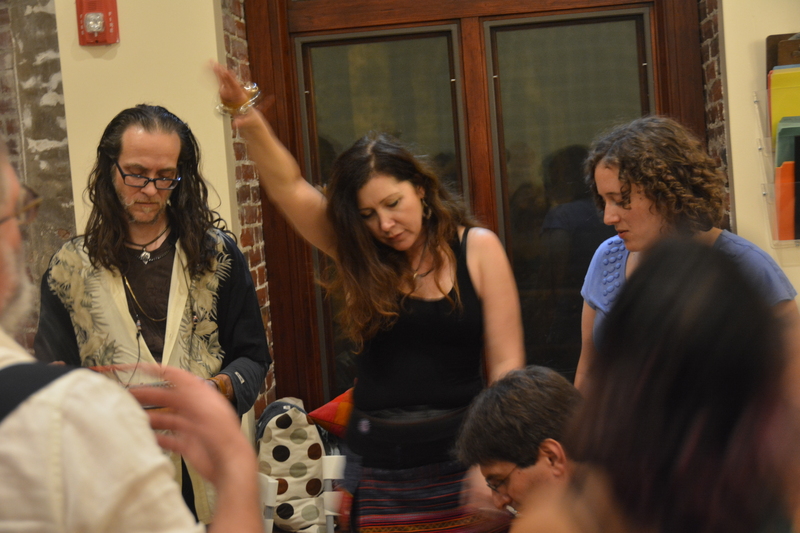 Participants explore sound and listening and learn to connect with each other in a direct way. No words to interpret and create misunderstandings. The music is the message. Musical games, such as toning, conversation, orchestration, and “drum” circle provide doorways to musical connection. These games give participants experience in listening to others and finding a place to fit in that both supports everyone else and allows for free expression of self. It is affirming and fun. These exercises are spiritual processes that engage all our senses. We experience a direct connection between ourselves, others, and our environment. The workshop is for everyone and it teaches coping skills for people dealing with depression and hopelessness. It grounds participants in our search for meaning. It provides relief for people who are dealing with normal stress or struggling with overwhelming life events. If practiced regularly, Sonic Sandbox can, like meditation, make a huge difference in your life.